Investment in pharma stocks for long run has always paid good returns to Investors. The pharmaceutical sector is performing well in 2015 and still there is a room for further upside in coming year. It is expected that pharma stocks will give multifold returns in next five to seven years. So, it is recommended to keep few good pharma stocks in your portfolio. Before starting my talk on best pharma stocks let’s check out why these stocks are best for investments. Why pharma stock is best for Investments? Indian pharma companies earn major revenue in the US $. The cost of the rupee is depreciating continuously which gives export competitiveness to these companies. Pharma Sector is having an advantage of both Indian and global market. Indian companies have good competency and research facility available. These companies are regularly coming out with new innovative products, which gives a competitive edge to these companies over others. The Pharma Stocks are relatively safe, as when the market declines it is observed that drop in pharma stocks are marginal. So, after understanding compelling reason for investing in pharma stock, let’s have a look at Top 5 Best Pharma Stocks of 2015-16. Ajanta Pharma is one of the best pharmaceutical company involved in the manufacturing of quality drugs for domestic and international market. Sales and profit of the company are exponentially growing since past five years. Current market price of this stock is 1357 Rs. YTD return of this stock in terms of CAGR is 44%. For last several years, this stock is a consistent performer. Last three year CAGR of this stock is 225%. Lupin is a hot favorite stock of big bull Rakesh Jhunjhunwala. Lupin is in the list of consistent performer stocks. Exposure to the US and other International market is plus point of this company. Current market price of Lupin is 1824 Rs. YTD return of this stock in terms of CAGR is 25%. Last three year CAGR of this stock is 62%. Means if you have invested in Lupin 3 years back in 2012 you could have earned CAGR of 62%. 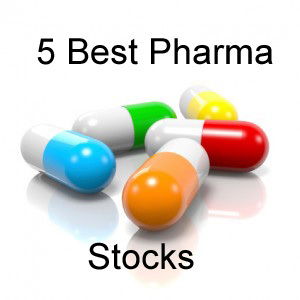 Aurobindo Pharma is next in the list of Best Pharma Stocks. Recently Aurobindo pharma got USFDA approval for marketing of multi-disease treatment injection in US market. Operating income and profit margin of Aurobindo Pharma is growing. Current market price of this stock is 818 Rs. YTD return of this stock in terms of CAGR is 38%. Cadila Healthcare is very good Pharma Sector Company. It is one of the fastest growing company in this sector. Last year performance of Cadila Healthcare was very good. The current price of a stock is 403 Rs. YTD return of this stock in terms of CAGR is 28.75%. Torrent Pharma is manufacturing a wide range of pharma product for domestic and international market. Torrent pharma is one of the consistent performing stocks since past few years. Current market price of this stock is 1471 Rs. YTD return of this stock in terms of CAGR is 31%. Do you think pharma stock is good bet and will outperform in 2016? Have you made any investment in these pharma stocks? Do share your query and questions in comment section.